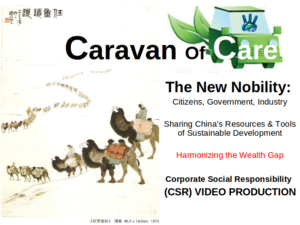 The Caravan Of Care is the original, innovative, non-traditional CSR activity of the New Rich Nobility (NRN) and Citizens Of the Republic Of Conscience. …Plus it gives “Donors”and “Receivers” something they are unlikely to have experienced before… the profound satisfaction and joy of personally giving with your own hands. LCP asks, Do you love the Earth?